Chicago Gourmet. Chicago‘s premier food and wine event is fast approaching. 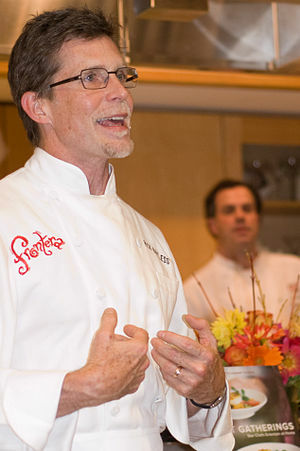 Over 50 chefs including, Rick Bayless (Topolobamo/Frontera Grill/Xoco), Stephanie Izard (The Girl & The Goat), Graham Elliot Bowles (graham elliot/Grahamich), and Ted Allen a food and wine expert will be on hand. Millennium Park will once again be hosting. There will be live cooking demonstrations, seminars, and the 2011 Gran Cru which will feature wine tastings and Chicago’s top sommeliers. As this is the premier food and wine event the ticket are priced to match. Get your tickets now, last year did sell out. The two-day event will be Sept. 23-25. PreviousHave you been to Northdown Café and Taproom yet?